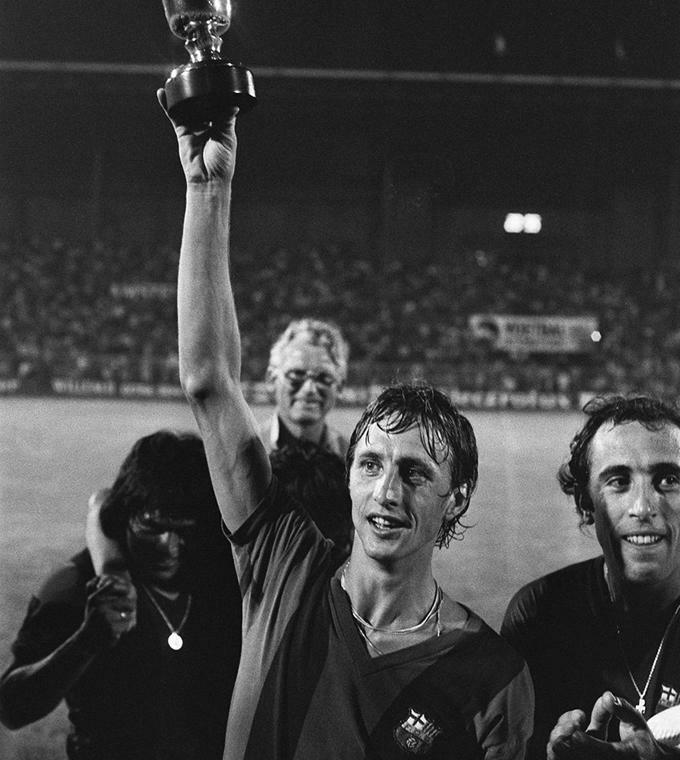 Johan Cruyff was unique in his kind. A leader, an artist and one of the best football players the world has ever known. ´El Salvador´won 3 Champions League titles with Ajax before moving to Barcelona. For Catalans, he did more than just playing football. Johan was a rebel, made FC Barcelona champion for the first time in 14 years, called his son the Catalan name Jordi (which was illegal in Spain under the regime of Franco) and in his first season, he won with 5-0 in Bernabeu against Real Madrid. Johan Cruyff was a revolution in football and made the Catalans proud in a moment they needed the most. As a coach Johan Cruyff brought the first Champions League title to Barcelona with a 1-0 win against Sampdoria in Wembley, London. There is no explanation needed to explain the impact he had on the current attacking philosophy of FC Barcelona. This tour explains to you what the impact was that Johan had on football philosophy, trophies, culture and even on politics. The tour starts outside the stadium with an explanation about Camp Nou. Inside the museum, all the highlights of Johan Cruyff in the trophy cabinet are demonstrated and a lot of anecdotes about the Dutch delight is shared. After this, you will follow the tour in the stadium where you can see the place of Johan in the locker room, the mixed zone with pictures and videos of his successes. Don´t miss out the honor of meeting one of the biggest legends of FC Barcelona, Ajax, Dutch national team and of the world. Choose the date when you want to participate in the tour. The tour departures in front of the Camp Nou stadium and on your voucher you can read where exactly. The voucher that you will receive is not your entrance ticket to the Camp Nou Experience. The guide has the tickets for your entrance. Metro to Maria Cristina L3 or Collblanc L5.